I’ll keep this short and sweet. There is a SPACE outlet by the Prada company…gasp…in Hong Kong. Just a 20-30 min taxi ride outside of the Central area in Aberdeen sits an assortment of Prada and Miu Miu ripe for the picking. As Prada outlets go its actually pretty good (although nothing can compete with the Space outlet outside of Florence). Everything from men’s and women’s clothing, leather goods and shoes, it’s all here. Mariona got a flirty pink dress, I got a classic buttery leather tote for work and some strappy Miu Miu sandals. I will warn the non-petite gals…there is a limited assortment of shoes over size 38 and clothes over size 40. But that said, there’s still a plethora of bags and accessories to make any girl or guy happy. Love reading your blogs…even the one’s about food! I have to go on a shopping tour of asia with you! PS> hope you and Paul are well! THANK YOU. Must check it out asap. I’ve been to SPACE near Florence, Italy and it was pure heaven. I’m assuming this one won’t be half as big as the Italy one but who cares! So the prices are very good, much better than Asia retail. But the discount is not as much as the one in Florence. If you have a choice, go to Florence, but if you don’t and live in Asia then this is still good value. HI Joanna, Would you say the Prada HK outlet prices would be cheaper than London retail prices? I am heading to London soon so if prices are similar might as well get newer stock there. p.s. I am after a black leather Prada bag, are there many choices? Hi Helen – it would be cheaper than London prices, but for sure the newest collections won’t be there. Although it is a very large store with a great selection. Mind if check with you that for price comparsion (based on handbag / wallet) , is it cheaper in Singapore or in HK. roughly by how much? Thank you very much for the assistance. joanna. may u tell me when is the best time to visit montervashi space outlet that offers bigger discount. I’d like to know if the outlet in Hong Kong has a better price than the outlet in the US such as Woodbudy in NYC or Desert Hills premium outlet in CA? Moreover, other than Prada, do you think that high-end designer outlet such as Burberry, Gucci, Dolce & Gabbana in Hong Kong has similar price as those in the US? I believe I was told once that the import tax in Hong Kong is lowest compared to any other countries in Asia. I know that in my home country, Bangkok, is approximately 40 percent, outragoues, isn’t it? The outlet in Italy has the best prices, followed by the outlets in the US. But I will say that the selection in Hong Kong, especially for clothes, is among the best I have seen! 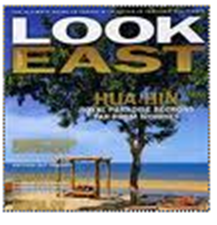 Hi Joanna, i am going to HK by end of Dec’11. Do you think there is a sales? Between, is there any product catalog available for viewing in advanced? I am not sure if there will be a sale. In HK the big sales are typically Jan and July. Hihi, do they have a good collection of bags or is it mainly wallets, shoes and accessories? Thanks! I will go to HK in coming end sep, do you think there is sales in Space Outlet? What’s the price range for prada nylon shoulder bag? well, sales in Hong Kong in general usually happen in July, but not sure about the outlets. and outlet stock varies week to week ,month to month, so you never know which models they will have. but it is usually not the latest ones. Just want to check wiht you if you have a similar experience. Went to this outlet in September and bought a soft leather Prada bag. I hand carried it on the flight back home and I was so shock to find that when I open it when I land, the leather has patches of dark coloured spots on the whole bag!! Went to the Prada boutique in my country for help and was told by the sales person that the products sold in Space HK is inferior and not 100% good quality hence no support will be extended. I am very upset with the fact that this outlet is selling inferior products of Prada? Is that even true? So whatever that I bought from Space HK , which I’m not expecting for an exchange, will not even get after sales support like repairs? Can you advice me on what I should do next? Hello – That sounds like a terrible experience. I have never had an issue with the Hong Kong outlet. If I were you I would write the company headquartes in Milan, Italy to make them aware of your experience and ask for it to be resolved to your satisfaction. Hey Joanna, would like to know how much is the price range of bags and wallet in the hk prada outlet? Would like to save some money before going there! Hi, I haven’t been in a while but last time I was there it was $200USD +. Lot’s of choices around $700 -$1000USD for bags). Thx pretty for the useful info about prada in HK. Like it! I will be going HK next week! 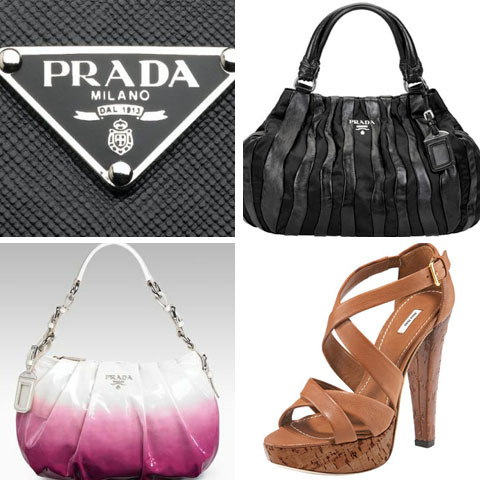 can you give the price range of the products there in Prada Hongkong.For example the bags,shoes, or clothes. Would there be a great dicount in April. Hello, there were prices ranging fro 100USD to 5000USD. The stock changes all the time. And because it is an outlet, everything is last season on sale. You can call and ask them about April, but not sure it would be any different to March or May, for example. Hi George – paper bags with SPACE on them. No fancy boxes or such. They pretty much have everything….but from the last season. I would like go space but only worry about the journey back when leaving tat place. It is easy to get taxi there? Hi joanna, are there lots of bag selections for men?